August 8, 2016 at 11:31 am. Each year, thousands of people come to Mater Dolorosa in search of spiritual enrichment. 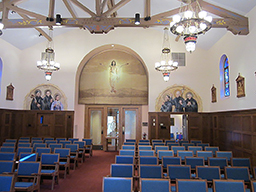 Mater Dolorosa — a Passionist retreat center in the San Gabriel foothills, in the city of Sierra Madre near Los Angeles — is a sacred place whose spiritual work depends on some decidedly material things. Mission-style buildings, a stunning outdoor Stations of the Cross, and many other physical improvements set the stage for lives to be changed in faith. 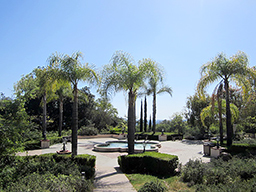 To help preserve the beauty and soul-changing power of the places in their care, Mater Dolorosa’s board and staff rely on a professionally prepared capital plan. The plan enables Mater Dolorosa to set aside enough each year to indefinitely fund expected maintenance. Starting around 10 years ago, that began to change. After much discussion, Mater Dolorosa’s management and board decided to invest in a capital plan conducted by Association Reserves, a company with a 30-year history of doing similar plans (known as Reserve Studies) for condominium associations. Matthew Swain, RS, the company’s national representative for Worship Facilities, inspected each of Mater Dolorosa’s buildings and outdoor assets, estimating the useful lifespan of each component, the number of years remaining, and the cost of renovation or replacement. The plan lists each significant component of the Mater Dolorosa buildings, outdoor improvements, and major equipment. For each component, the plan indicates how much Mater Dolorosa should have in its maintenance fund, and how much it should set aside each year, to be prepared for the eventual cost of renovation or replacement. The eastern section of the main building, for example, has a tile roof that measures about 10,600 square feet and was installed in 1995. The 2015 capital plan reports that the roof should last about five more years. At that point, it will need to be renovated at a cost of around $74,200. To be prepared for this, the plan advises Mater Dolorosa to hold $63,600 — or 30/35 of $74,200 this year — in its maintenance reserve fund, and to add another 1/35th of the expected cost (or $2,120) each year in order to stay fully funded. And that’s just one roof! Adding up all the numbers for each of some 200 components yields a truly frightening grand total. In Mater Dolorosa’s case, the fully funded balance — as of July 1, 2015 — was about $2 million, with a recommended annual contribution amount of $230,000. Having an outside, professional opinion has made it easier for the retreat center to set aside adequate funds. Certified Reserve Specialist Matthew Swain, RS, points out that many churches find it more comfortable to ignore ongoing deterioration than face the daunting shortfalls a capital plan could reveal. 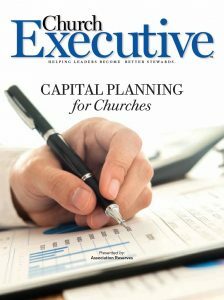 Church leaders might assume that future capital fund drives will pay for maintenance costs, or worry that having too much money in the bank might hamper capital fundraising. But, as Brown points out, “major donors are sophisticated” — and they increasingly expect to see a plan for the care and sustainability of the facility. A professionally done capital plan reassures donors that their gifts will be well used. Dan Hotchkiss is a freelance writer and consults with congregations and other mission-driven groups from his home near Boston. He is the author of Governance and Ministry: Rethinking Board Leadership, which has helped hundreds of churches, synagogues, and non-profit organizations to streamline their structure and become more mission-focused and effective.